Calling all innovators in landscape architecture! The Landscape Architecture Foundation (LAF) is now accepting applications for its 2019-2020 LAF Fellowship for Innovation and Leadership. This $25,000 year-long fellowship is a unique opportunity for mid-career and senior-level landscape architects to explore, research, develop, and test big ideas that will bring about positive change and expand the impact of landscape architecture. 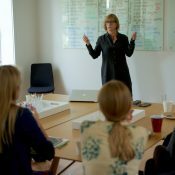 The fellowship was launched in 2016 to support innovation, cultivate transformational leadership, and foster intergenerational mentorship in the field of landscape architecture. Each year, 3-4 fellowships are awarded through a competitive application process based on a proposed project. Projects may be grounded in theoretical or historical investigations, product or program development, new practice or service models, built work, or any activity that creates knowledge and empowers landscape architecture. For context and inspiration, watch the final presentations from the inaugural fellowship cohort here. Over the course of the fellowship year, selected Fellows dedicate approximately 3-months’ time to realizing their proposed projects and participate in three 2.5-day residencies in Washington, D.C., as well as monthly conference calls. During the residencies and calls, the cohort of Fellows and up to 3 emerging professionals from LAF’s Olmsted Scholars Program engage in critical discussions, build leadership capacity, and support each other towards the pursuit of their projects and ideas. 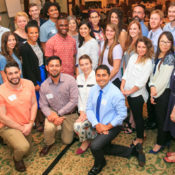 The 2019-2020 cohort of the LAF Fellowship for Innovation and Leadership will run April 2019 to May 2020. Eligible applicants must have a minimum of 6 years of professional experience in landscape architecture and be able to dedicate the equivalent of 12 weeks’ time to their proposed project. Application materials are due September 15, 2018. For more information on the fellowship program, structure, eligibility, and application materials, visit: www.lafoundation.org/laf-fellowship. The LAF Fellowship for Innovation and Leadership was made possible by the funds raised through LAF’s 50 & Forward Campaign. Learn about the work of the current fellowship cohort here. 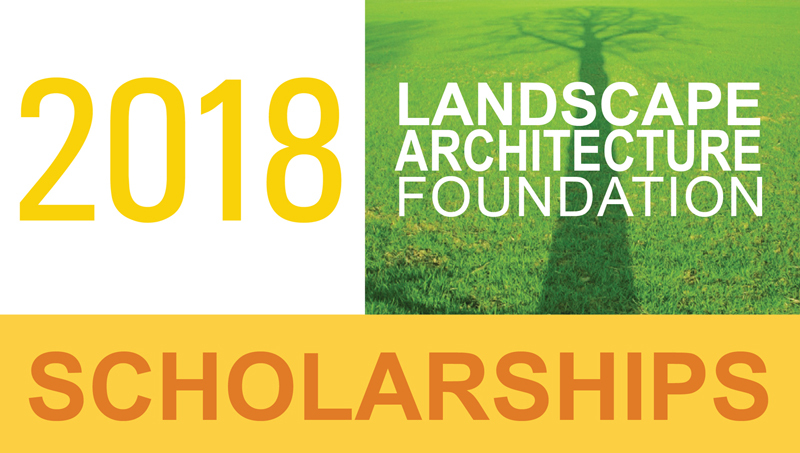 The Landscape Architecture Foundation (LAF), the leader in national scholarships for landscape architecture students, reminds students and faculty about its 2018 award opportunities with over $125,000 available. These awards support new generations of landscape architects by recognizing leadership, rewarding superior student performance, encouraging diversity, supporting original research, and assisting students with unmet financial need. Spread the word to qualified candidates! This prestigious $20,000 scholarship is awarded annually to a student pursuing a Master’s degree in landscape architecture in the U.S. or Canada. Candidates should demonstrate commitment to some of the areas that Joe Lalli dedicated himself to, including artistic pursuits, travel, and giving back in service to one’s community and profession. LAF’s Olmsted Scholars Program with its $25,000 graduate and $15,000 undergraduate prize is the premier national award and recognition program for landscape architecture students. Each university may nominate one exceptional student leader from each of its LAAB-accredited landscape architecture programs to be recognized as a University Olmsted Scholar and compete for the appropriate national award. Graduate students or undergraduates currently in their fourth or fifth year are eligible. This year, thanks to the generous support of LAF’s 50 & Forward Campaign donors, Finalist awards have increased from $1,000 to $5,000 for graduates and $3,000 for undergraduates. The Olmsted Scholars Program is made possible with support from Lead Sponsor: The Toro Company; Annual Sponsors: EDSA, HOK, OLIN, Sasaki, IRONSMITH, LandDesign, Thomas C. and Gerry D. Donnelly, Steven G. King, FASLA, Bill Main, Hon. ASLA; and Promotion Partner: American Society of Landscape Architects. The Landscape Architecture Foundation (LAF) has up to $85,000 available for the 2015 scholarship season. Application deadlines are Feb 1 and Feb 15. Help spread the word to qualified candidates! LAF’s Olmsted Scholars Program with its $25,000 graduate and $15,000 undergraduate prize is the premier national award and recognition program for landscape architecture students. Each university may nominate one exceptional student leader from each of its LAAB-accredited landscape architecture programs (grad and/or undergrad) to be recognized as a University Olmsted Scholar and compete for the appropriate national award. Graduate students or undergraduates currently in their fourth or fifth year are eligible. Nominations from faculty are due Feb 15, 2015.